Wow! What a day! 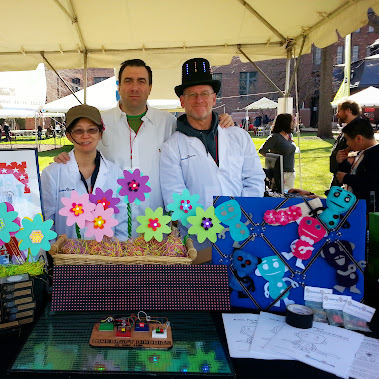 For all those who attended the 2014 Greater Newark Mini Maker Faire you are all part of history now. 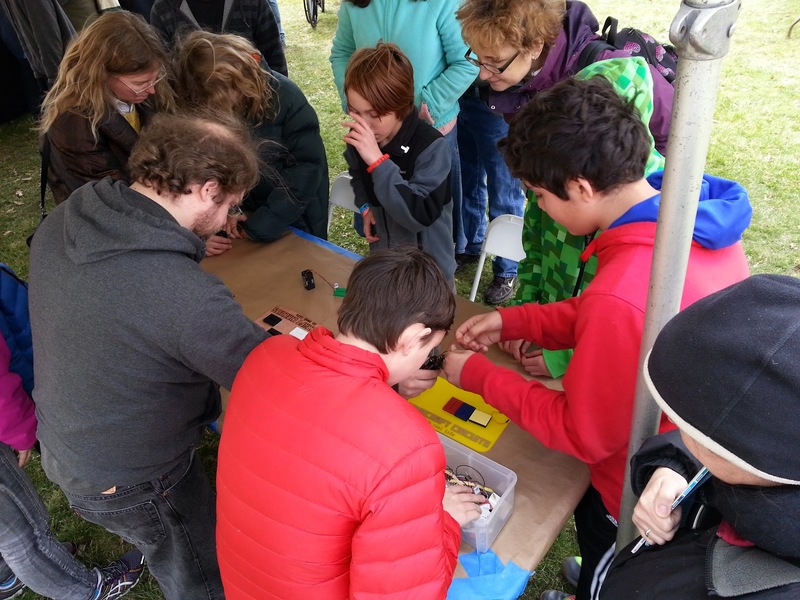 New Jersey’s first maker Faire was fantastic! Thank you to the Newark Museum, Kim, and the whole staff and volunteers who made it possible. We were glad to be part of it. Thank you to all of you who came by the booth and participated in our workshops. I am not sure how many E-Feltie flowers were made or how many Minecraft Circuits were built, but it was a lot. 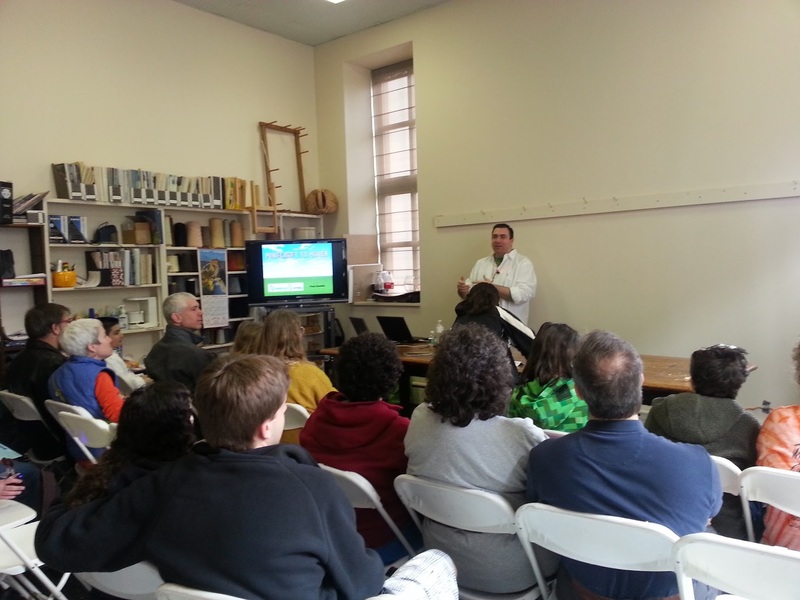 We hope these workshops inspire you on your own journey as a maker. 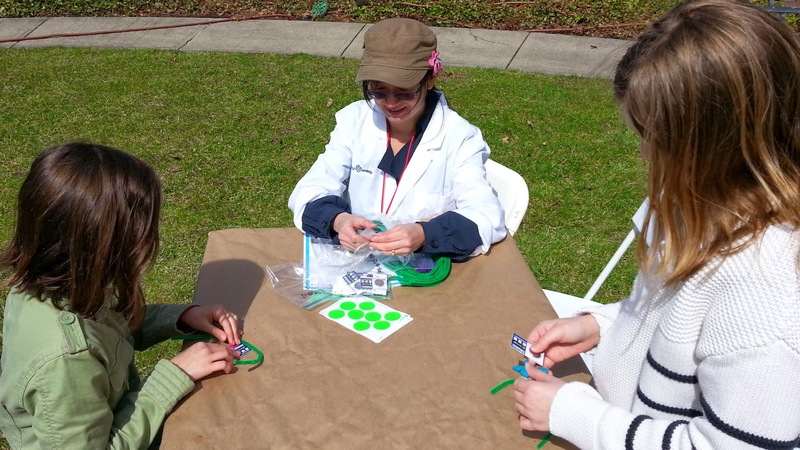 We brought with us our LED Garden and the E-Felt Flowers and we made these because we thought it was fun for spring. I guess they were even more appropriate for New Jersey’s first Maker Faire since new Jersey is the Garden State. We Also launched the Pi Pals which are a series of adventures for young makers. Jean was busy with the E-Felt Flower workshops. Rick did a fantastic job with the Minecraft Circuit in Real Life workshops, and Lee handled the crowds and questions at the booth. I had the pleasure of speaking and had a wonderful time with all of you doing the Minecraft to Maker talk. In all it was busy and fun filled day. Thank you again to everyone who came out. We hope to see you at the World Maker Faire in NYC and then of course at the next NJ Maker Faire.